Fun game from Education.com, similar to Place Value War, but instead four different place values are in play! Kids create a pyramid with their cards face down. Next, they flip the ones over. 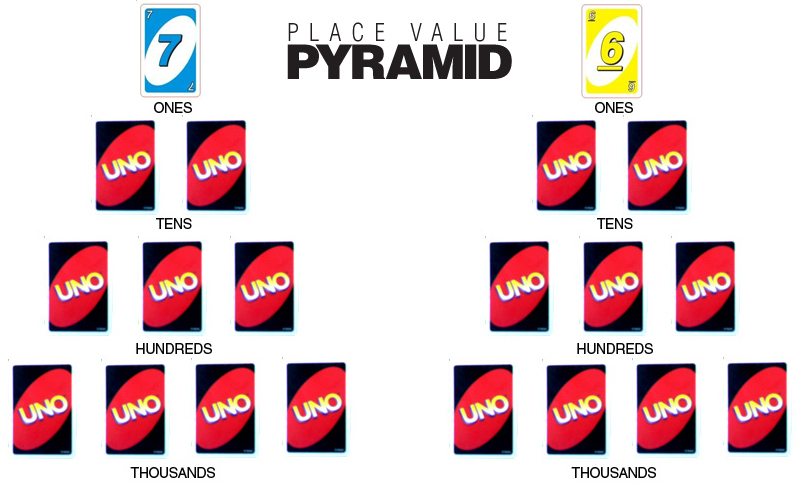 The player with the larger number wins both cards. Then, they flip the tens over. The player with the larger number gets all four cards and so on.